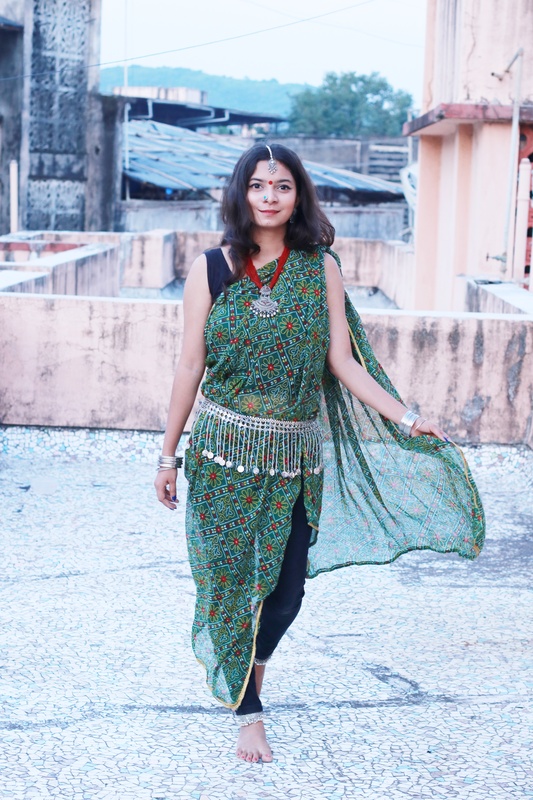 The Bay Bomb - Pseudo saree. Bachpan se hi na mujhe saree pehene Ka bada shaukh hai By god! No seriously, As a kid I used to drape my mom's dupptas around to make it look like I am wearing a saree, only to fall head first because I couldn't walk. I still love wearing saree but don't know how to wear one. 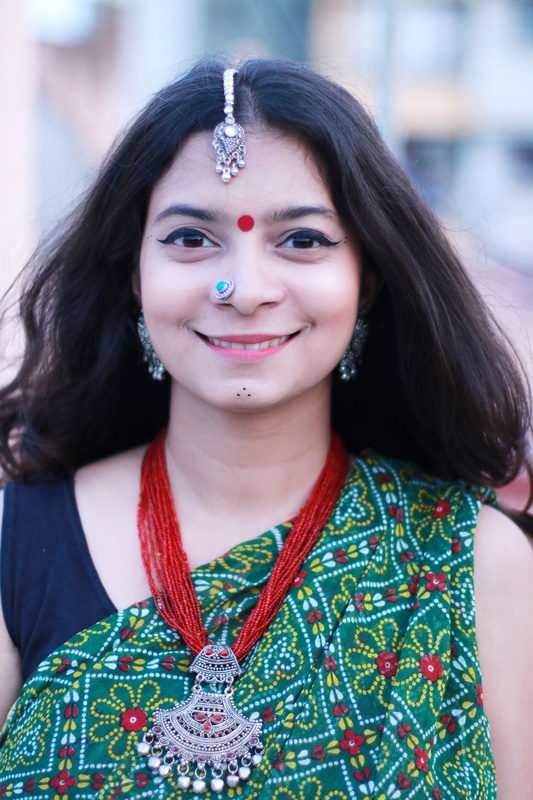 So here's a cheat code to wearing a saree this navratri. Namaslay everyone!🙏 How you doing? 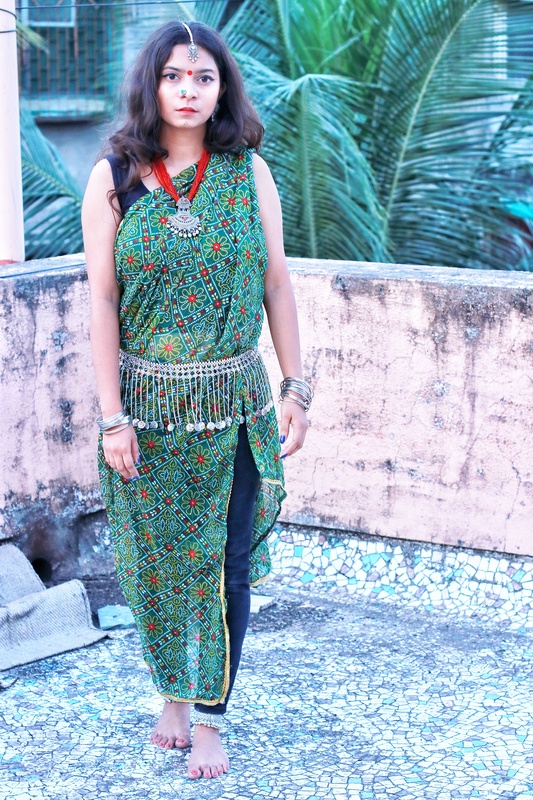 Pseudo saree, about using the same trick back from childhood, of using a duppta as a saree. Here for my base, I started with a black sando and a pair of black jeans. Took a bandhani duppta which btw is a part of a chanya choli of my mom when she was 16 or so. And that just makes it all the more special. Draped a duppta around like a saree. For accessories, I went with a contrasting red colour. This is a pair of junk jewelry set from my mom's khazana. 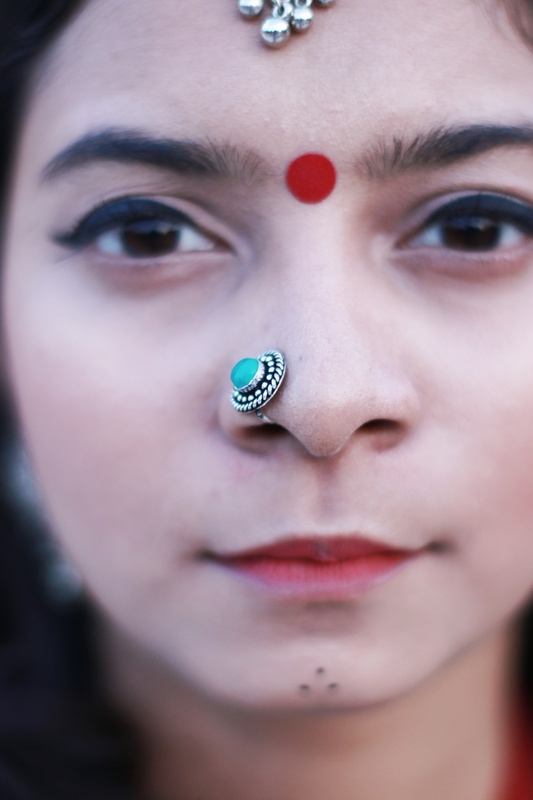 Added a mang tika, a kamarpatta, silver bangles, a thick pair of payal, a nose pin, and completing the whole look with a bindi. And that's how you wear a saree but not actually wear it. 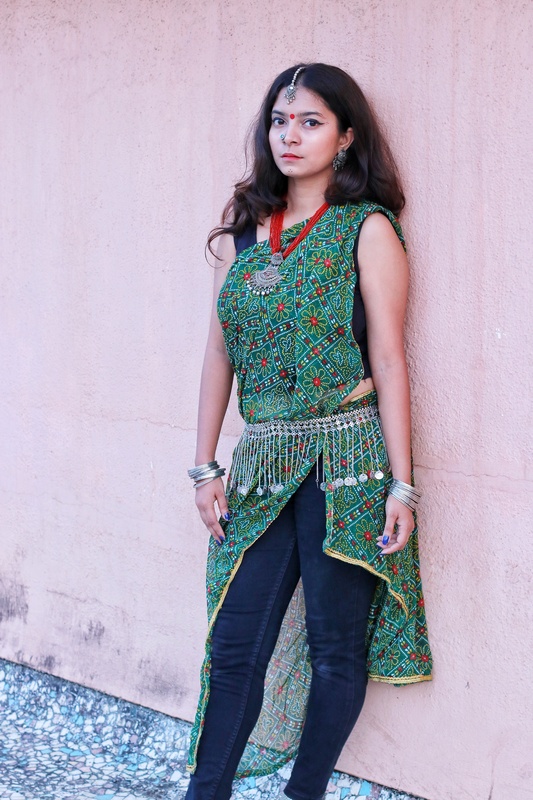 This one's a 2 minute trick to getting ready for garba night. Pictures by Haranish Mehta. Twist the look your way and tag me, tell me about your tips and tricks. Let's spread girl love and inspire each other. Let's come together and make a dope fam"The Bomb Fam" If you are on my space for the first time, Hey there! Scroll down to know more. Also don't forget to click on the follow button on down right of your screen to get the notification everytime I post. Follow me on my social media profiles to get a sneak peek of my life, Instagram/Snapchat/Roposo : the_baybomb. Stay tuned for my next one, till then stay bomb and keep slaying. More hope, love and positivity to you, The Bay Bomb, Sonia Patel.